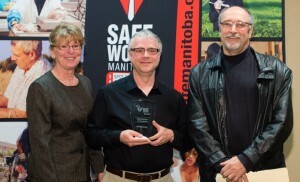 Home News SWOT Recipient of 2014 SAFE Work Award! 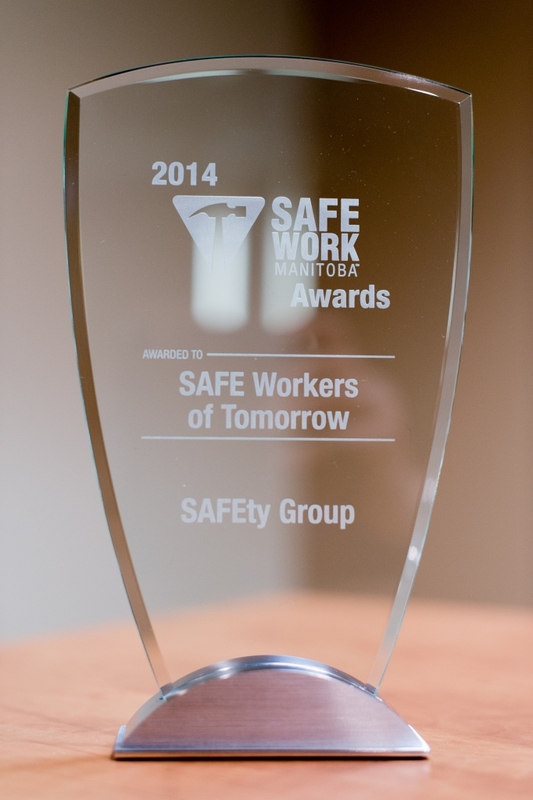 SWOT Recipient of 2014 SAFE Work Award! SAFE Workers of Tomorrow is proud to be the recipient of the 2014 SAFEty Group Award! This recognition is awarded to a committee or group that takes on a leadership role to help increase awareness of workplace safety, spread safety and health messaging (particularly to young and New Canadian workers) and make a positive impact on Manitoba’s safety and health culture. The nominator may be an employer or worker in the same workplace, but should not be a member of the committee or group. The SAFE Work Awards program was developed by Workplace Safety and Health (WSH) and the Workers Compensation Board (WCB) to recognize individuals and groups who demonstrate ongoing commitment to making our workplaces and province safer and healthier. SWOT was selected based on a nomination submitted by Bruce North, a teacher in Seine River School Division, who has worked with SWOT for many years to make his students safer at school and at work.